Since switching my lifestyle to following the ketogenic diet, I had had to give up pasta, but I’ve absolutely been craving fettuccine alfredo for weeks! 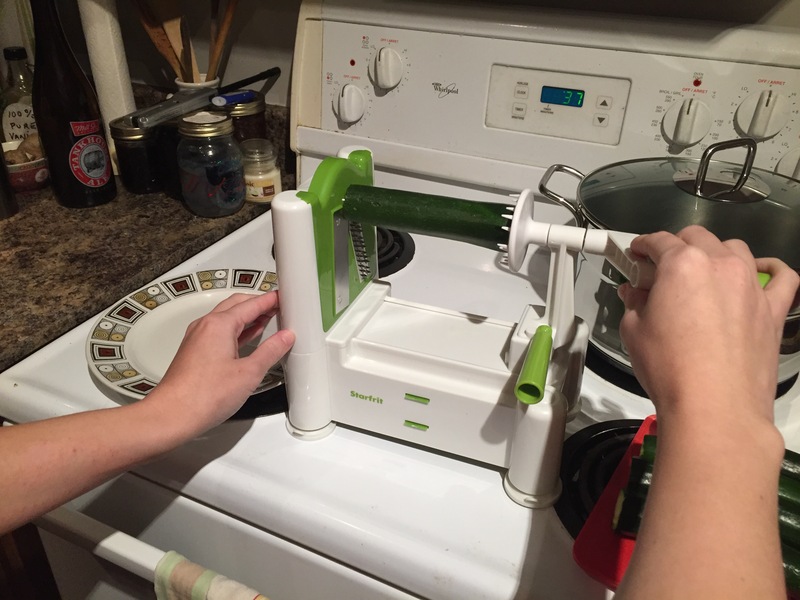 Shout out to my parents for the spiralizer for Christmas, so I can now make something that tames the pasta cravings. Keto-friendly zoodles alfredo really hits the spot! 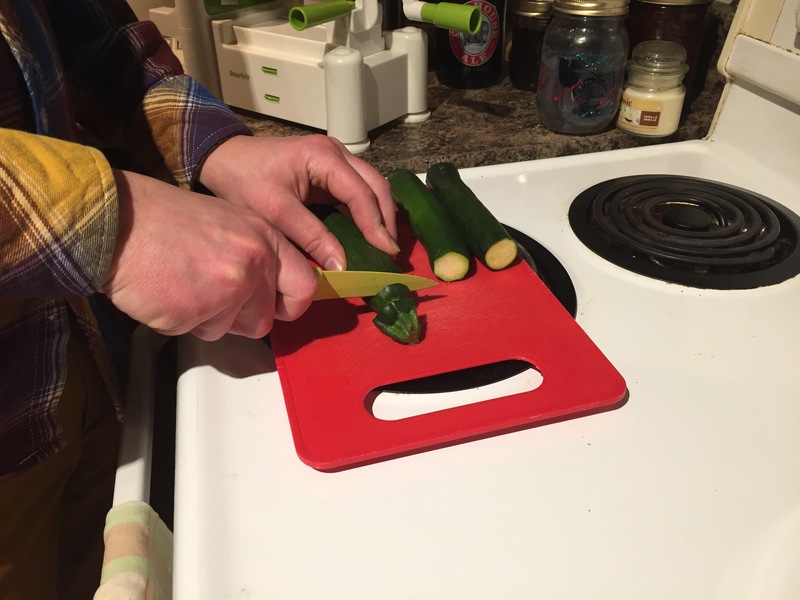 Trim both edges of the zucchinis. Process through your spiralizer of choice. Melt the butter in a pot big enough to fit all of the zucchini. Add the garlic and heat until soft. Add the ground chia seeds. Add the cream and stir until boiling and thickened. Pour the veggies into the sauce and stir until coated evenly. 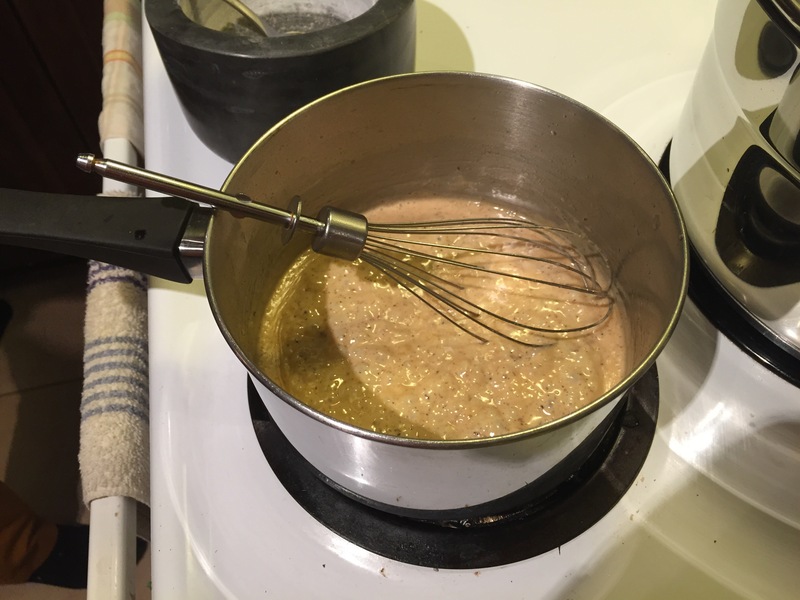 The ratios below are for the entire recipe (meant to serve 3), which means that each serving has only 3 grams of sugar (entirely from the veggies). This vegetarian keto-friendly zoodles alfredo pasta alternative is a great dish on its own that can be made into a even better keto ratio paired with a fatty protein like steak. I personally like to pair my mushrooms with the steak and leave the ‘pasta’ on its own, and use the extra alfredo to dip my steak in. Yumm! *I cooked the zoodles right in the sauce pan, and they released much liquid in the process. The published recipe has been tweaked to another cooking method of the zoodles to reflect the best way to achieve a thicker alfredo sauce than the one pictured above.